Absolutely Fabulous was the name of wildly offbeat British sitcom that premiered in the 1990’s and starred Jennifer Saunders, Joanna Lumley and Julia Sawalha. Its nickname “Ab Fab” has become part of the lexicon of Brit slang that Auntie M is using here to describe the collection of UK crime novels you’ll want to explore. Sophie Hannah’s Kind of Cruel continues in the vein she’s established for examining the investigations of married detectives Charlie Zailer and Simon Waterhouse. She uses the protagonist of each case to describe the majority of the action, including Zailer and Waterhouse, in an unusual device that is simply brilliant. Readers will be caught up in the puzzle that is Amber’s Hwerdine’s life.Amber suffers from insomnia since the death of her best friend, a death that also gave Amber and her husband custody of the friend’s two young girls. 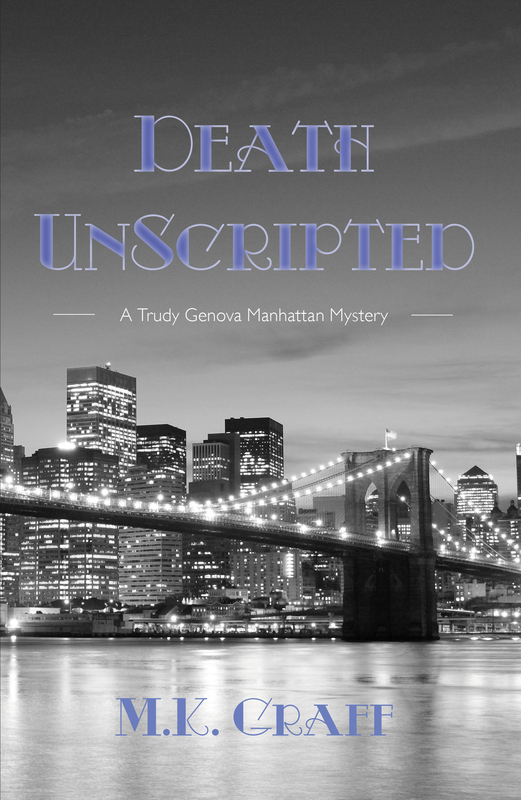 Determined to make a safe home for Dinah and Nonie, Amber visits a hypnotist to help her with her insomnia and utters the words “kind of cruel,” which in turn alerts Waterhouse to a different murder case. These were the very words inscribed on a pad in the victim’s flat; but Amber doesn’t know this woman? So how did she know that unusual phrase? Waterhouse is convinced Amber is innocent of the murder, yet somehow has knowledge that will help him solve the case. This complex novel is filled with clues that only become apparent at the end. This is literary writing at its finest with intelligent and thoroughly researched psychology that includes a stunning insight into Waterhouse’s psyche. If you weren’t a fan of Sophie Hannah before, you will be after absorbing this compulsively readable book. Hannah was chosen to write a new Hercule Poirot novel that will premiere this fall. 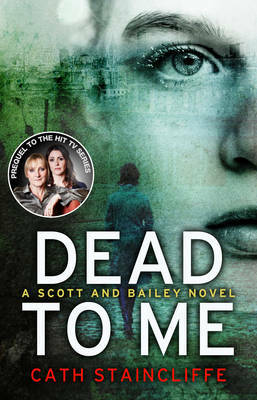 CWA Dagger Winner Cath Staincliffe brings the two protagonists of the popular series Scott and Bailey to life in Dead to Me,a police procedural whose characters fairly jump off the page. While both members of the Murder Investigation Team based in Manchester, these two women are polar opposites. Janet Scott is a consummate interviewer, able to obtain trust and confidences from her suspects, a reliable mum and worker with her own dry sense of humor. Rachel Bailey is impulsive, energetic and outrageously ambitious, but she also has great instincts that could make her a fine detective. Partnered with Janet, the two rub against each other at first but quickly join forces to find the killer of a teenaged girl, brutally murdered in a housing project. Both women have their own demons to wrestle with in their pasts but when the case becomes complicated, they will face dangers neither could expect. 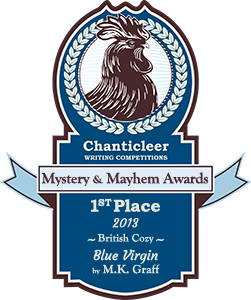 The inner workings of a murder squad with its attendant relationships and vagaries are all on display in this fast-paced winner from the novelist and creator of hit UK TV series Blue Murder. 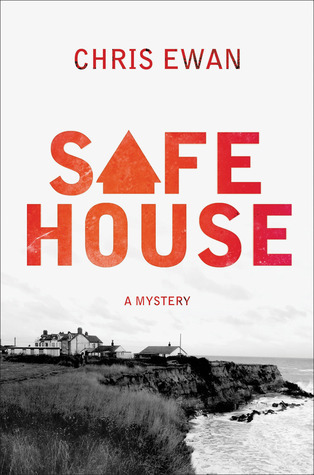 Chris Ewan’s deftly plotted thriller Safe House is set on the Isle of Man, a closed, often desolate community that is the perfect setting for this stand alone that offers up the first person perspective of Rob Hale, a heating engineer who races motorcycles. When Rob wakes up in hospital after an horrific bike accident, he wonders immediately of the fate of his lovely blonde passenger. But his doctors and the police claim there was no woman found at at the scene. Rob’s memories of the lovely Lena are put down to his concussion by everyone but Rob. But how could a woman vanish into thin air? With his sister’s recent suicide hanging over his family, Rob is determined to find Lena and why her very existence seems to be covered up. He’ll be aided by a private investigator from London, and together he and Rebecca Lewis must follow the clues that will lead to Lena and to the troubling truth behind his sister’s death. Filled with action and corruption, the story never loses sight of family love. 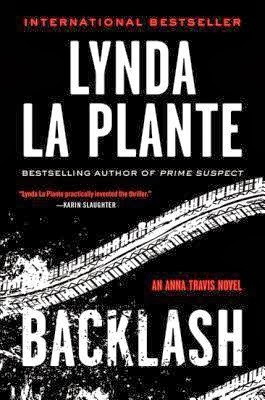 Backlash is Lynda La Plante’s newest entry in her Anna Travis series. The creator of the Prime Suspect series, La Plante’s eighth novel finds Travis a Detective Chief Inspector who will knock heads once again with her former lover, now boss, Detective Chief Superintendent James Langton. Langton is supposed to be on sick leave after knee surgery, but somehow he manages to insinuate himself into Anna’s case, to her chagrin. 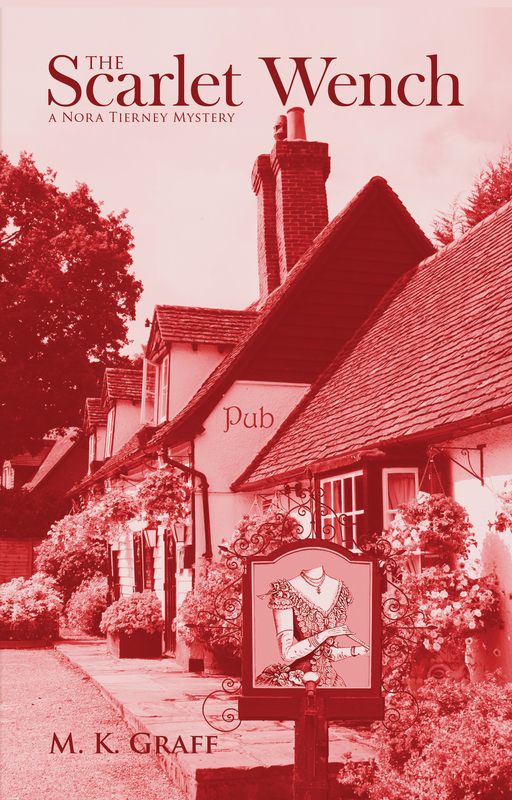 While her case seems to be open and shut at first, with a suspect, an arrest, and a confession by the driver of a white van found with a dead woman in the back, it does appear connected to an earlier case of Langton’s. Five years before, a 13 yr-old girl disappeared and the unsolved case has haunted him since. Now he’s put himself into the midst of Anna’s case and there are sure to be complications when her suspect suddenly changes his story. And it doesn’t help when Langton trades on his complicated relationship with Anna to keep him updated on what should be her case. 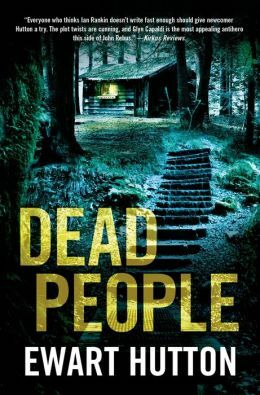 Following the success of his strong debut Good People, Ewart Hutton returns with DS Glyn Capaldi in Dead People. Capaldi’s transfer to rural Wales after a professional fall from grace finds him dealing with the gruesome discovery of a long-dead skeleton found at a remote site during excavation work for a new wind farm in the hills. Missing its head and hands makes the corpse unidentifiable. Then more skeletons are found in the same area and it appears the site is the dumping ground of a serial killer. Capaldi’s not convinced this is accurate, but he fights his superiors’ when he insists this smacks of local knowledge. Complicating matters is a nearby archeological dig with a comely head archeologist who perks Capaldi’s interest. There will be trips to a claustrophobic series of caves, more bodies unearthed, and an apparent suicide before the real culprit is unmasked. Told in first person from Capaldi’s point of view, his self-deprecating humor adds a nice touch in this strong series. 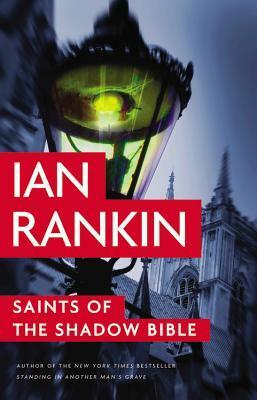 Saints of the Shadow Bible is Ian Rankin’s latest entry into his dark, Edinburgh police procedurals that will find John Rebus and Malcom Fox knocking heads in a complicated cold case. When a 30 yr-old murder case is investigated, the one that Rebus would rather be investigating should take a back seat. But then, this IS Rebus we’re talking about. Fox and Rebus together seem an unlikely duo and there’s no love lost between the two of them, yet at the bottom of it all the truth will come to the forefront. Will Rebus be exonerated or a victim of his past decisions? Highly readable. 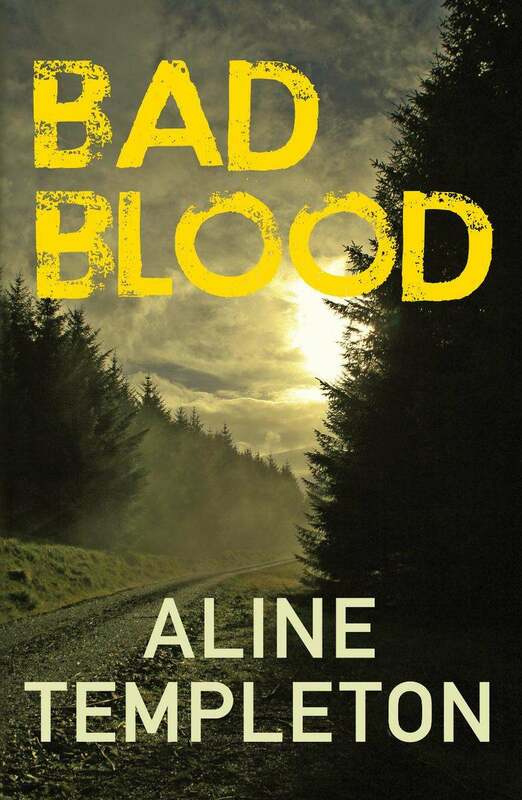 Bad Blood is the newest DI Marjory Fleming novel in her absorbing series set in Scotland. A medical situation with Fleming’s husband, Bill, shadows their son’s triumph playing rugby, and forces Fleming to confront whether she puts her job over her family. Her sergeant, Tam McNee, will be forced to take on a greater role than he likes when a young woman returns to town to find out why the disappearance of her mother was never solved. Marnie Bruce didn’t exactly have the best upbringing. After being knocked about the head as a child, she woke up to find her mother gone and herself taken into care, a situation she leaves at age 16. 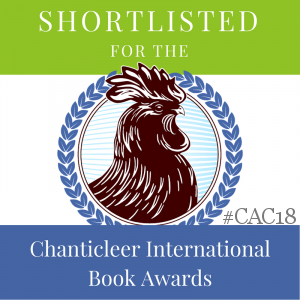 She’s been on her own ever since, working in London and saving to return to Scotland to discover what happened to the mother she has terribly mixed feelings about. MArnie’s appearance will set off a chain reaction of events that lead back to the murder of a young boy forty years ago. And then a woman is killed and Marnie becomes a prime suspect. Deftly plotted, this investigation combines the difficult relationships of Fleming’s team as they struggle to put their personal feelings aside to solve a the murder that has fingers reaching back several decades. Another winner in a series Auntie M enjoys that she hopes you will discover.